Checking your mouth for fillings or amalgams has become an important part of your dental check-up. Filling's a term we hear often, one that we dread having our dentist say during a check-up, and tend to be our first experience with a dental treatment. But how did our modern concept of thinking about fillings come about? How were fillings first treated and how far have we come in our diagnoses and treatment for fillings? We at Tooth Heaven were curious and wanted to find out more. Here are some interesting facts that we've found! Fillings have been around for a long time. Researchers have recently found a filling made out of beeswax, which is estimated to be approximately 6500 years old. Found in a cave near Trieste, Italy, the tooth belonged to a male 24-30 years of age and was most likely filled after he died. Today, fillings are available in a number of different materials such as gold, porcelain, silver amalgam, or composite resin fillings, depending on your specific needs. According to the Canadian Dental Association, the amount of mercury that is included in dental amalgams today is a very small amount. This amount is bound to the other metals in the material, which reduces the amount that is absorbed by the body, making dental amalgams used in dental offices today safe for patients. However, that being said, we at Tooth Heaven prefer not to use any Dental Amalgams to really eliminate any potential of mercury poisoning and be more conscious to the environment. Parents, ever wondered why your kids sometimes snore loudly at night, sometimes sounding like they're choking, grind their teeth at night, wet their bed sometimes and feeling tired in the mornings? There might be an explanation to all of this. 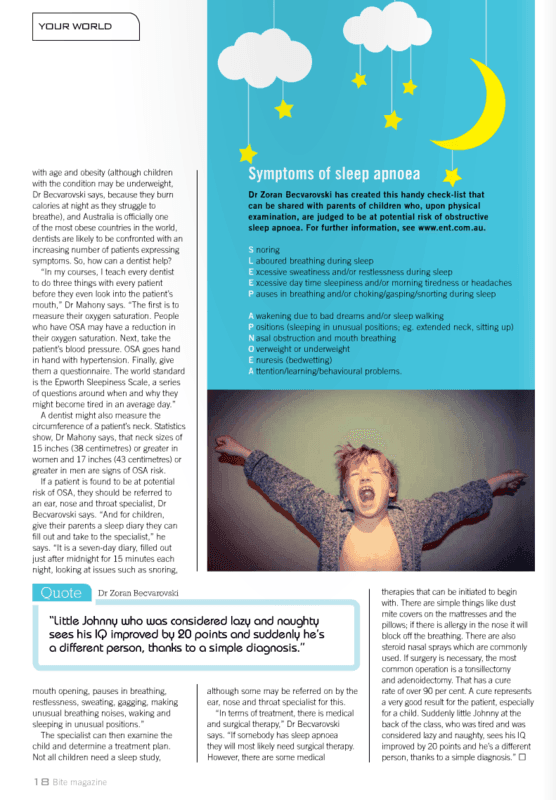 Your child could be suffering from sleep apnea, and yes it does happen in kids too! 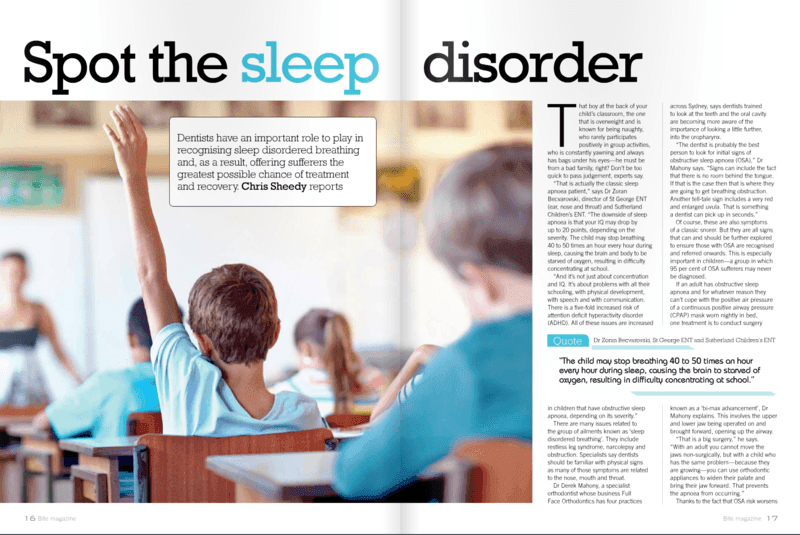 A leading expert in Australia quoted " A child may stop breathing 40-50 times a night every night during sleep, causing the brain to be starved of oxygen and hence resulting in difficulty in concentrating in school "
Should you be worried? The staff at Tooth Heaven would. There are effective, simple ways that could be implemented to help your child overcome this issue. Treated at the right age and at the right time, you very well see that your child may start performing better at school and be able to reach their full potential, simply because they're getting a better night's sleep!